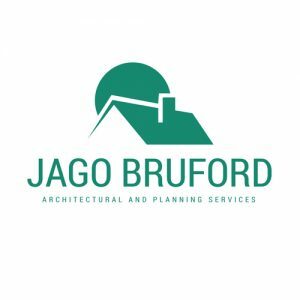 Jago Bruford Design is a small practice providing architectural, planning and building construction services for building projects in south Dorset for householders and small business clients. Owen Tufnail is the principal and is responsible for the running of the practice and all project work, including client consultations, site surveys, preparing initial designs, detailed drawings and specifications. Owen studied building construction and civil engineering at Southampton University in the 80’s and 90’s and holds higher Diplomas in both fields. He has since worked in building and civil engineering design and construction for over 20 years. Jago Bruford Design was set up in 2006 and became incorporated in Jago Bruford Ltd in 2008. The company secretary is Sharon Tufnail who deals with all invoicing and administrative matters relating to the practice. Jago Bruford Design is audited by Trading Standards and is a member of the Buy With Confidence scheme administered by Dorset County Council. For more details of this scheme and how it operates please click here. As part of the audit process previous clients were contacted by DCC and invited to provide feedback on the services supplied. We are delighted to report that Jago Bruford Design received 100% positive feedback on our services. Jago Bruford Design is the only Architectural and Planning Design company approved by Dorset County Council. For details of feedback received click here. Jago Bruford Design carries full Professional Indemnity (PI) Insurance against all designs undertaken by the company. The insurance is underwritten by Novae Syndicates Ltd of Fenchurch street, London and is renewed on an annual basis.